Around the Paizo office, we've been really busy getting the upcoming Starfinder Core Rulebook out the door and launching the Starfinder Society Roleplaying Guild campaign—but not so busy that we couldn't bring you two great new adventures for the Pathfinder Society Roleplaying Guild. Perhaps two isn't quite the right number, as Pathfinder Society Scenario #8-16: House of Harmonious Wisdom is not a quest but a series of five Tier 1-5 quests. Every quest pack is a new opportunity and a new challenge—an opportunity to work with lots of new authors, and a challenge to find just the right location on Golarion to present a new set of adventures. This series presented even more opportunities because this is the first time we've released a full series of quests mid-season, it's the first time we've presented a full series of quests at multiple subtiers, and it's also the first series of quests we've centered in Tian Xia. Fortunately, the authors Jason Owen, Black, Katherine Cross, Sarah Hood, and Christopher Rowe all did admirably, creating engaging characters and fun encounters that show off the conflict between the three nations that each claims to be the rightful heir of the fallen Lung Wa empire: Lingshen, Po Li, and Quain. 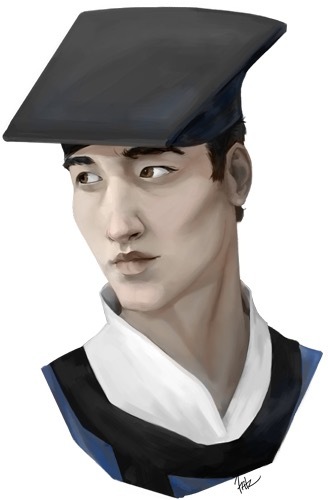 In collaboration with the retired folk hero Mai Chun (pictured here), the PCs must visit each of the three Successor States in search of a famous Lung Wa relic—all while evading envious rivals (like the scholar pictured here) who seek the same prize. Because these mid-season quests with multiple subtiers are an experiment in the season's structure, we're eager to hear back from you about whether this is a something we should repeat in the future, whether it was useful for your area, and how we can improve this format. If you're in the market for higher-level threats, you're in luck! We're also releasing Pathfinder Society Scenario #8-17: Refugees of the Weary Sky, a spiritual sequel to the Heresy of Man trilogy (though you don't need to have played the earlier adventure to enjoy this one). In collaboration with its new allies on the elemental planes, the Pathfinder Society has identified an ancient ruin dating back to the Jistka Imperium. This same ruin is one of the last holdouts of the Imperium's elementalists during its disastrous conflict with Osirion, and the echoes of that powerful magic still pervade the site. Fortunately, helping get the PCs started (and illustrated for the first time) is Venture-Captain Obo, the Society's steadfast liaison in Rahadoum, assisted by the Sapphire Sage Amenopheus, who has taken a special interest in the refuge of Osirion's ancient enemy. Don't miss this desert adventure by Jeffery Swank! Oh! They're here! Quests set with competing scholars in Tian Xia, and it's not even my birthday yet! Huh. Maybe I've seen one too many Wuxia films. Oh! They're here! Quests set with competing scholars in Tian Xia, and it's not even my birthday yet! The only thing that would make it better is if all the scholars were members of rival martial arts schools that jump out of windows and have battles on roof tops. Huh. Maybe I've seen too many Wuxia films. Promise not to explode with joy? One quest involves competing martial arts schools that do battle in a building that has both a roof and windows. The PCs participate. Hmm shakes with the effort of not exploding. Little effervescent bubbles float out her ears and her feat float six inches off the ground, but somehow she manages. Thank you, thank you, thank you! As a newly minted black belt in Aikido, I get a special joy from the ridiculousness of martial art heroes like 'Tai Chi Zero.' Bring on the camp! The sillier the better! I have posted in both scenarios' product threads, listing the map products used in both adventures. Thanks for the list of maps. I have all but one of them... Clearly this is a sign. The Quest Arc is replayable? Am I right in assuming that as the quests are Tier 1-5 that they do not require pregens? I am very curious how the new quests are going to work. It is going to be a long wait until Wednesday... I was assuming that the quests weren't replayable, but if they are... I may have finally found something worthy of taking an all kitsune group through. I may also have to change up the quests I was planning to do at Convergence and Anime Detour. ESPECIALLY ANIME DETOUR -- the anime kids will be all over these! They will be so psyched by the setting! Jeffrey Swank, I am also looking forward to your adventure too -- it sounds very cool. New higher level adventures are always exciting. I just got distracted by these shiny little quests! I know there used to be language (as of 2015, apparently) saying all quests are replayable, but I cannot find it in the current guide for the life of me. Is that a thing that was removed (intentionally or no, I suppose?) or is my search-fu just weak? It was a sidebar in the original Kobold Quarterly publications. Pathfinder Society Quests are brief adventures consisting of two to three encounters designed for use in the Pathfinder Society Organized Play campaign by Paizo Publishing. 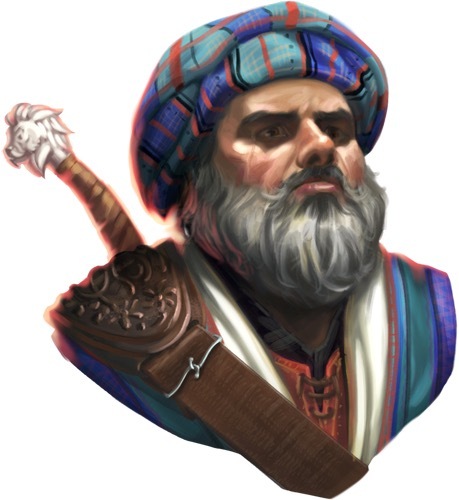 A legal Pathnder Society PC may receive a Chronicle for completing a Quest as many times as he completes it, and a game master may likewise apply a Chronicle to any of his characters when running a Quest. Each Quest Chronicle grants a single-use boon or ability, each of which may be played once per scenario. This official Pathfinder Society adventure is made available here as a Kobold Quarterly exclusive, and all Golarion references are used by kind permission of Paizo Publishing. Pathfinder Society Quests are short adventures consisting of one or two encounters and are designed for use in Paizo Publishing’s Pathfinder Society Organized Play campaign. Legal Pathfinder Society PCs may receive a Chronicle sheet for completing a Quest as many times as they complete it, and GMs may likewise apply a Chronicle sheet to any of their level-appropriate characters when running a Quest session. You can find the Chronicle sheet for “Urge to Evolve” on paizo.com or koboldquarterly.com. This adventure is set in Magnimar, a great city poised on the edge of the frontier nation of Varisia, a region described in Kobold Quarterly #22. Readers can find more information about the city in Magnimar, City of Monuments or in the Shattered Star Adventure Path, based in the Pathfinder Lodge in Heidmarch Manor. I wasn't even playing PFS when Kobold Quarterly regrettably bit the dust... I completely did not put 2 and 2 together that those quests from KQ were playable in this new thing I picked up. You can replay this quest series with 1st-level PCs. You can earn credit for this series once (as a player, as a GM, plus Core, etc.) at any level above 1st. This quest series does not require the use of pregenerated characters. Because these quests represent a flexible means of running short, fun adventures, they're also a great option for using as demo events. Depending on the venue and event goals, it might make sense for an organizer to require (or just strongly encourage) use of pregenerated characters when running these quests. More effervescent bubbles float out of Hmm's ears. I promised John I would not explode. I promised John I would not explode. There is no such thing as too many Wuxia films. Unfortunately, there is such a thing as too little time to watch them all! So for this particular case it's okay for an organizer to require pregens, contrary to the normal rules where you have to admit any legal PC? I'm not disagreeing, it can be a good thing. But it's unusual so it's good to have it explicit. The last update on quests was that you could use regular characters on all but the most recent one, Honor's Echo. It makes sense that this one would have its own considerations in that department. Edit: Source on pregen restrictions. Oh, would you also do that with PbP? As Ive got a fresh kitsune waiting to go. Wow- thanks for the new quests! "House of Harmonious Wisdom can be replayed for credit, but the credit must be applied to a different character each time." Which version of the replayability rules for this scenario quest arc should we be following? Wait? It's available? It has not been added to my downloads. I know because I've been checking ALL day. I have an upcoming convention next week for which this would be perfect... I've been really hoping to look it over. Do any other Venture Officers have this problem? It seems to be an issue for all VOs. This is no different than any other replayable adventure we've released; a character can't earn credit from an adventure more than once. A character can't gain 3 XP by playing The Confirmation three times in a row. Likewise, a character cannot earn credit for playing House of Harmonious Wisdom several times. When we say the credit has to be applied to a different character each time, we're saying that each rendition of the packs' five quests must be for a different one of your PCs. The scenarios are available and have been since early afternoon. The process or processes that run to give the scenarios to subscribers and VOs seem to be running quite a bit behind, though. No, I understand that. I think everyone does. What I mean is that the scenario strongly implies it is replayable at any level. Your post said it was replayable only for level 1 characters. That's what I'm hoping you can shed some light on, if you could, please! It is replayable at 1st level, not at higher levels. Good to know, thank you! I'll make a note on my evergreen page. If that's the case, though, you may want to clarify that in a more prominent place than a comment. Many more people will read the PDF than ever see your comment here. I'm a little concerned that the text in the PDF could be misleading. I finally got my downloads! The little gnome stops shaking on the verge of explosion, and cuddles the quests up close. "Welcome, new friends! We will be awesome together!" John - would it be possible for the scenario to be edited to include your (much clearer) language? As is, people who do not check the boards are likely to read "...can be replayed for credit, but the credit must be applied to a different character each time" as non-level-binding. Do also see my response in the product thread. Getting language changed takes a couple of steps for which I am not solely responsible, and as openings appear in others' respective duties, it might be possible to provide an update in the product itself. I wholeheartedly agree! Imagine how pumped I was when I got to write a teahouse brawl for Paizo. I'm so glad people are excited for this product! I hope you enjoy it! I am about to run house of harmonious wisdom and I have never ran a scenario like this before. On the chronicle sheet it looks like the players get one xp for each of the quest they complete. Does that mean that if they do all 5 of them the get 5 xp? The rewards are not cumulative. It is a table, so you take the rewards for the corresponding number of quests. The gold, XP, and Prestige Points you earn on this Chronicle sheet are based on your level and how many of the quests you complete. Until you play an adventure other than House of Harmonious Wisdom, you can continue to play the other quests and earn greater rewards—even across multiple sessions. Check off the appropriate quests played and influence boxes below. Before beginning a different adventure, calculate your rewards for this Chronicle sheet based on the table below. No, the rewards aren't cumulative; you just read across from the number of quests completed to see the relevant rewards. The maximum you can get is 1 XP & 2 prestige, as normal.